Q. How can I have access to Compustat? Compustat does not allow undergraduate students to register unless in a class supervised by a faculty. Are all professors allowed to provide access to any students so that we can request from our thesis advisers? Thank you! You may request for the creation of your account. 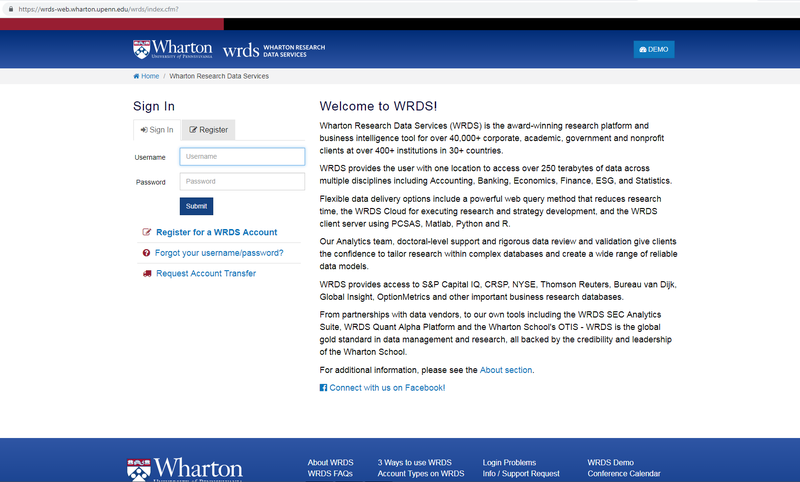 Click "Register for a WRDS account" and provide all the necessary details. Our Systems Services will approve your request shortly.